Cream butter and sugar. Add eggs and stir. Mix in baking soda, salt and vanilla and flour. Stir in chocolate chips. 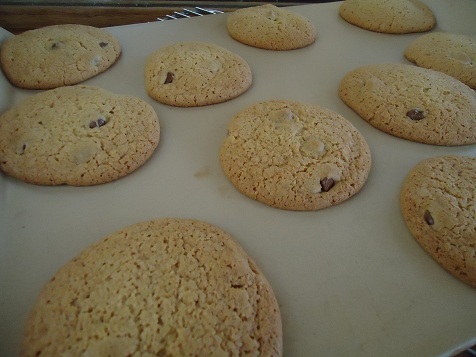 Drop by teaspoonfuls on cookie sheet. Bake at 350 degrees for 8-10 minutes. Remove from cookie sheet and allow to cool on wire rack.